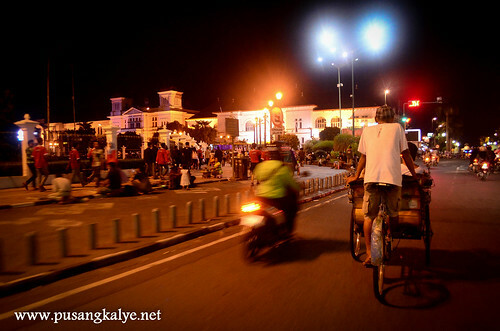 Becak is a cycle rickshaw typical in Yogyakarta. This is the equivalent of our pedicabs in Manila except that with this one the driver is at the back. Passengers could therefore have an uninterrupted view of the road. 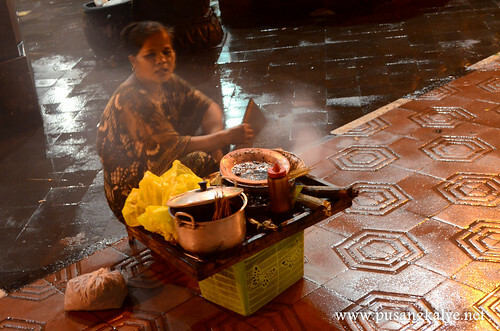 According to a local blogger friend, becaks were not originally meant for public transportation but tourists became fond of it and so the widespread use of moving people around. Comes at a hefty price though. We find it outrageously expensive for such a ride. A less than five kilometer pedal starts at 20,000 Rupiah, roughly $2. I didn't realize it to be that expensive until we got to Jakarta and the taxi we took only charged us 40,000 Rp from Gombak Station to Hotel Kempinski which is more than five kilometers away. Given the same distance, a becak driver might ask for a premium of twice that amount. They are obviously not regulated. In Manila, riding a similar transportation might cost you around 30-40 pesos which is less than $1. In Yogyakarta though where public transportation is scarce, tourists don't have much choice. In that case, you might wanna let go of all the mental conversions and simply enjoy. I got to appreciate this ride on our first night in the city. We had to find a money changer because we were out of local currency. At first, we declined the offer of becaks stationed in front of the hotel because they were asking too much for a distance ten minutes away by foot. We did find our money changer but not after a laborious walk amidst the occasional downpour. We decided to take the becak from there to our next destination. In search of the best Gudeg in town, we had to find our way to an old quarter in Yogyakarta in an area near the Sultan's Palace. Read: WIJILAN GUDEG: Nasi Gudeg Komplit Special Bu Lies. 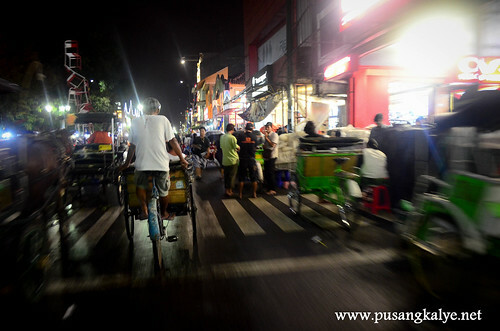 The driver made stride and guided the becak along the familiar street of Malioboro. 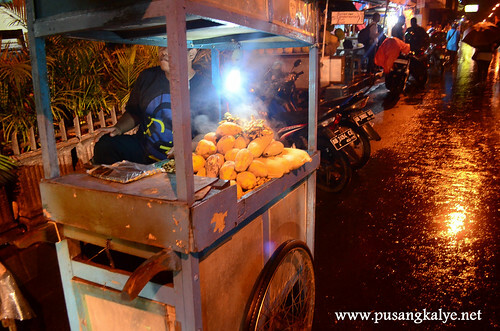 Everybody knows Malioboro as it is the happening street in Yogyakarta being the center of shopping and food trade in the city. 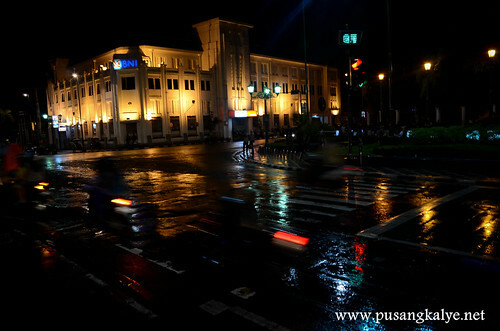 We were here during the day waiting for our Transjogja transfer to our hotel and it felt a little deserted on a weekday. At night though, the whole expanse comes alive. Thanks to the slow nature of the becak and the uninterrupted view (because the driver is at the back in contrast to the usual transports where the driver is in front) we got to enjoy sightseeing. 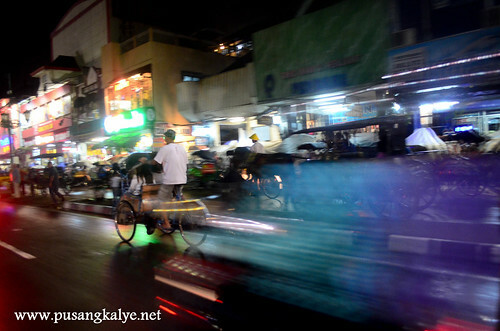 Malioboro at night is awash with a mix of tourists and locals, mostly the latter. Yogyakartans go out to shop on sidewalk stalls as well as some decent stores selling from batik clothing to simple items, mostly locally made. Malioboro is the place to buy souvenirs with jewelry, bags, keychains, posters and many more. As we passed, I also noticed makeshift stalls selling food. Imagine tents lined up where locals dine by sitting cross-legged on the floor. Locals refer to this as "lesehan" . Parang me pyesta lang. 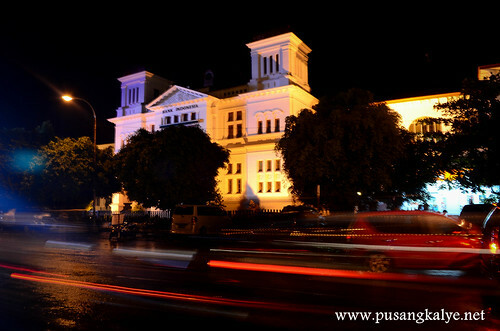 Further down the Southern end of Malioboro are government offices and private institutions housed in buildings of colonial architecture. Notable of these buildings are Bank Indonesia and BNI. There 's also Museum Benteng in the Southern end. 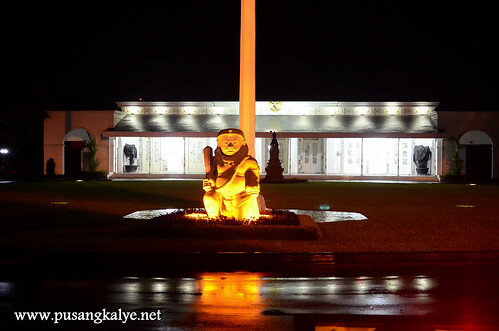 Since it was nighttime when we passed by, we didn't really got to check the establishments one by one. We simply appreciated the view and enjoyed the ride. Becaks could be expensive but they could also be a fun experience. What to do in Yogyakarta? Why not hire a becak and ride around town?